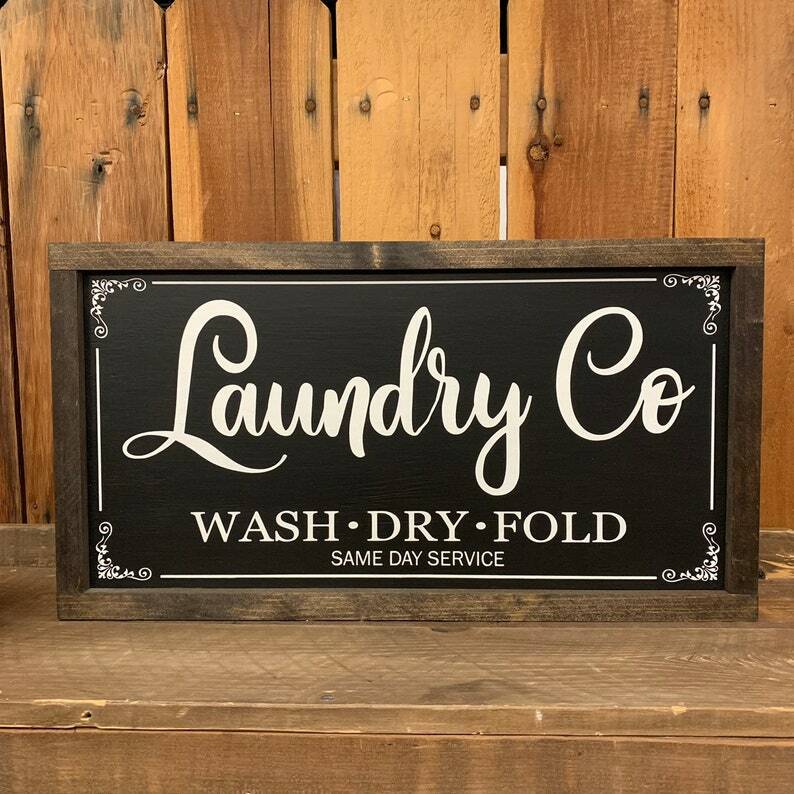 Put a flair on the laundry room with our laundry room sign. The sign measures at 10.5”x 19.5” outside dimensions. It is made out of pine wood. You can choose between black background with white letters or white background with black letter. The has been a coat of polyurethane for protection and a sawtooth for easy hanging. 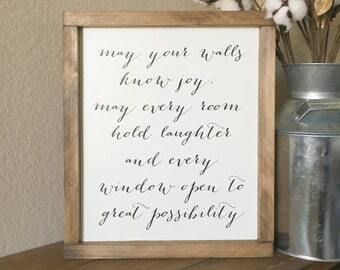 Love the sign but need different size or color, don’t hesitate to contact us. 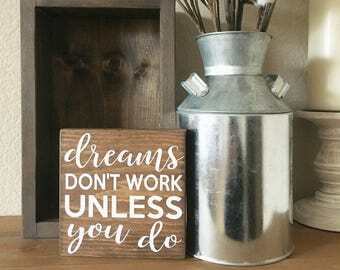 LOVE THE HANDMADE SIGNS! 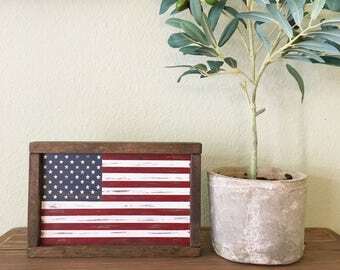 The perfect addition to farmhouse decor! Great seller, very helpful, creative artistic design, top-notch craftmanship, very reasonable pricing, extremely fair shipping charges & quick delivery coast to coast. 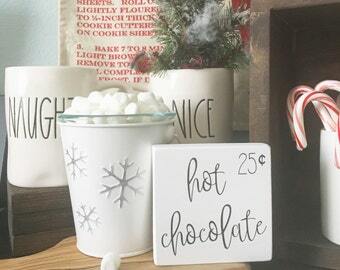 I highly recommend SawyerLeighBoutique for home decor handmade wooden signs & much more! I will visit again soon! Keep Calm & Create On! I am very happy with my purchase. Highly recommended.